On average Hardie board siding costs $10 per square foot. For a 1,200 square foot exterior wall it would cost around $12,000 to install. However, it may be the last siding you install on the home in your lifetime, so it’s a smart choice for nearly any homeowner. James Hardie is one of the most well-known names on the market, known especially for their cement backer board. Mixed with wood pulp and other organic materials, it’s called fiber cement and it’s the only siding material Hardie carries. Fiber cement offers benefits in terms of its appearance–it comes in a wider variety of intense color schemes and the wood pulp mixed in gives the boards a more natural, woodgrain texture. Read on to help you decide if James Hardie siding is right for your home. Before contractors even haul Hardie boards to your home, they must evaluate your property’s structural integrity. They’ll look at each stud or beam to verify no damage is compromising its strength. Hardie board is significantly heavy, weighing in at 300 pounds for just a 100 square foot section. Any pest- or water-damaged wood needs replacement or repair before the siding project can begin. The Hardie board contractor or another company may need to quote the repairs as a separate charge. 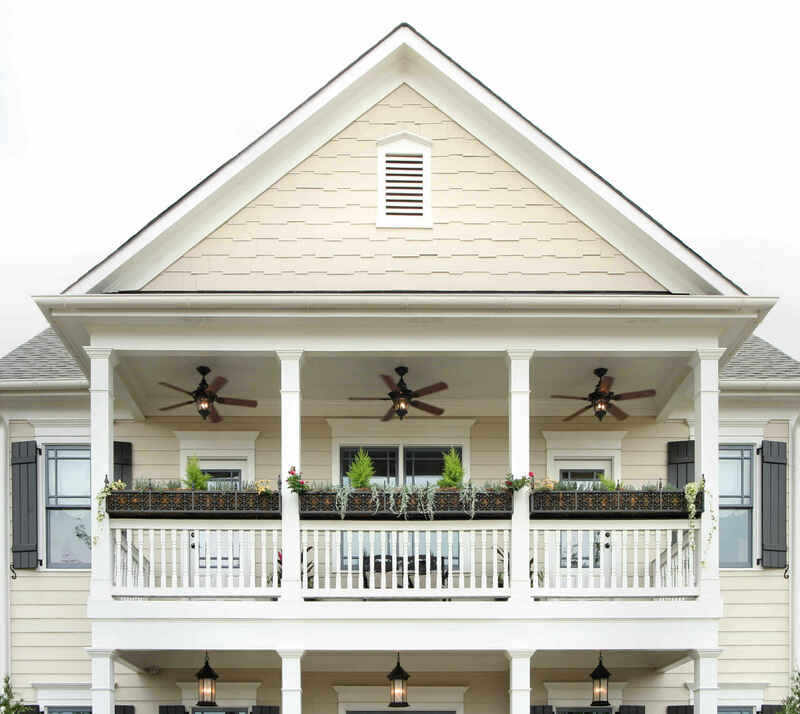 Hardie siding comes in vertical, lap board, and shingle designs that are made from fiber cement, rather than vinyl. Fiber cement typically has a slightly more natural look than vinyl. It’s made from wood pulp and cement molded to match the look of a wood board or shake, rather than plastic. However, there are some contractors and home builders who will tell you they’re skeptical of the material since it hasn’t been on the market as long. In addition to the traditional styles, Hardie offers an Artisan collection with thicker board widths and deeper shadow lines which they say add to the historical accuracy of a home. The benefit of fiber cement boards is their naturalistic look–more refined wood grain textures can be molded from the material, giving the detailing a precision that some vinyl styles may lack. Likewise, the difference in material means that they can offer a wider catalog of colors, particularly darker shades. Vinyl siding typically comes in cool or light colors, as darker materials can cause the boards to split or crack. However, with fiber cement you often have your choice of a vast range of colors–anything from a deep rust red to a dramatic smokey gray is available from this brand. Unlike many of their competitors, James Hardie offers a 30 year warranty, as opposed to limited lifetime protection. Their agreement covers defects from the manufacturer but may be voided if there are alterations or repairs made to the original product. Additionally, some coverage may vary depending upon the location of your home–Northern states may find themselves with more limited policies, for instance. Fiber cement is a little more durable when it comes to cleaning; therefore, a traditional mold remover can be used as part of your maintenance. While paint is baked onto the boards, chipping and flaking does occur over time, so it may need to be touched up occasionally or even redone every ten to fifteen years. Labor included, Hardie siding will run you about $10 a foot, which is fairly affordable compared to other siding brands. Keep in mind, however, that prices could vary depending upon your area and the contractor you use. HardiePlank boards consistently draw respectable reviews from users and professional reviewers as well. Like most siding types, the majority of problems seem to occur in extreme temperatures–very cold or hot weather can affect the performance vastly. Most homeowners seem to be quite pleased with the product’s natural look, as many are using it as a substitute for cedar boards. Your decision to choose Hardie should begin with some thoughts about the material. If you like the look or durability of fiber cement boards, then their catalog may be well suited to your tastes. However, if you’re looking to get improved energy performance from your siding, you’ll need to look elsewhere as fiber cement does not come insulated like certain types of vinyl. That means it is particularly well-suited to Southern areas, especially because the sun can cause fading and warping on certain types of vinyl.